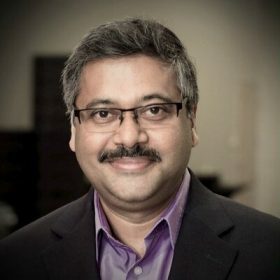 Highly accomplished Senior Technology Executive with 15+ years of experience leading digital-driven technology innovation and delivering impressive bottom-line business results. Outstanding reputation as a digital architect and product manager. Visionary management professional with encyclopedic knowledge of technology trends and strategic ability to unlock ground-breaking value propositions that create a distinct competitive advantage. Respected leader with an innate ability to formulate and lead high-performing teams that consistently create/develop transformative ideas and provide organizations with a two to five-year advantage to disrupt competition. A collaborative senior leader with astute relationship building skills and an outstanding appreciation for customer-centric needs.